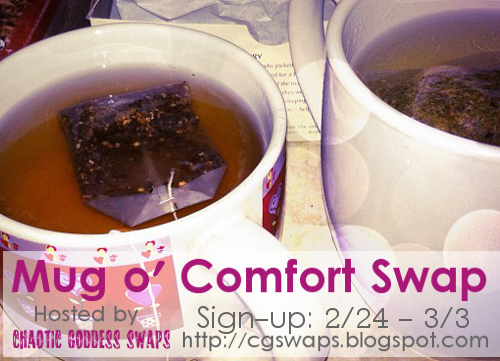 The Mug O' Comfort swap was great! 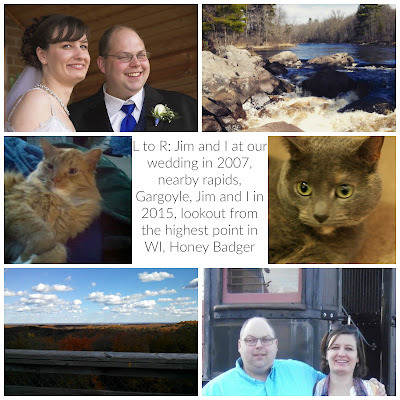 I was paired up with Jennifer who blogs at Busy Being Jennifer and also runs on the online shop Home Spun Happiness. She is a talented sewer, embroiderer, and crocheter. She lives in Texas and I would love to be as crafty as she is! Check out her shop. Don't you just love her hoop art. Anyone that embroiders weeping angels is my kind of girl! 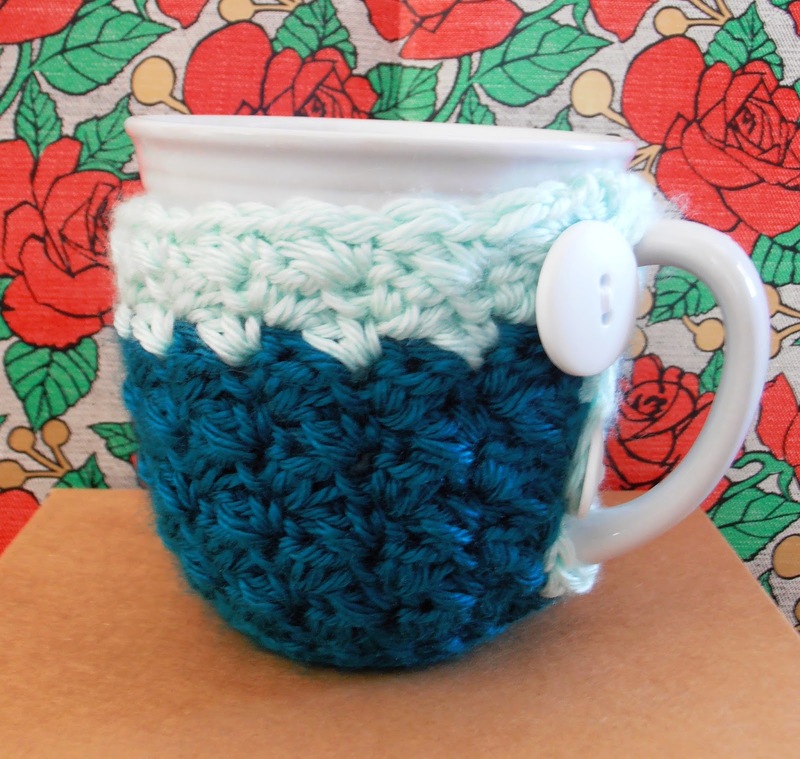 Great mug with super cute mug cozy! I love the colors she chose for this.I had a mug cozy once before but it was one I had just bought off Etsy and it didn't seem to fit any of my mugs. And the mug is the perfect size. I didn't want to seem like a weirdo and say that I have a preference to my coffee cups, but I do. I like ones that are about average height, but fat. Ones that can warm up both hands at the same time. Like this one. So, it's basically perfect. 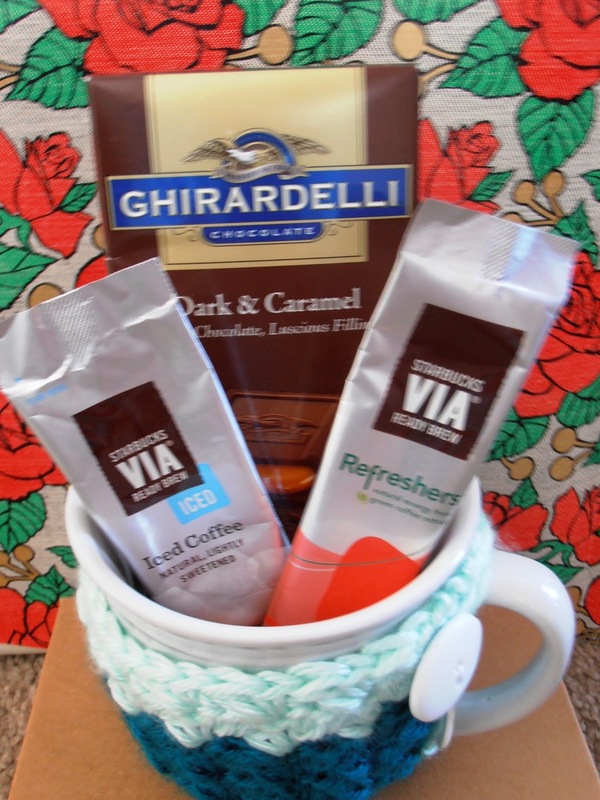 And along with the mug, she also sent some Strabucks Via to make instant iced coffee and iced tea. I love things like this for work. And a Ghirardelli candy bar! I always have at least one fancy candy bar stashed away for emergencies. Sometimes a girl just needs yummy chocolate! If I could live on chocolate and coffee, I probably would. And apparently Jennifer really likes to spoil people, because there's also this adorable pouch. I should have taken a picture of the inside too, because it's lined in this awesome, bright flower print. 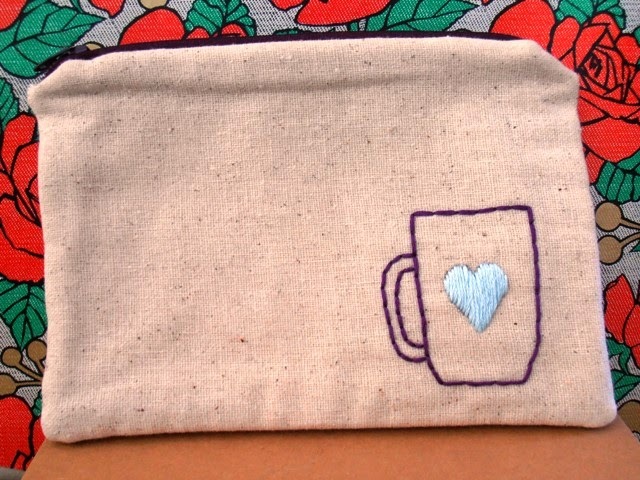 I love the little coffee mug embroidered on the outside with the heart! It's super cute. I may use it to hold tea for work, I'm not sure yet. I love little pouches for their functionality, but this one is super cute too! So do you want to see what everyone else got in their packages? Just click the picture to be taken to Chaotic Goddess Swaps. And you can also check out what's coming up next! Oh my gosh! That tote is adorable. Thanks for joining us for this swap!